How fast can you name a vain artist? How about a glasses-wearing heartthrob? What do a flamboyant popstar, a blind scientist, and a skinny superhero have in common? You’d better think fast, or your fellow player will leave you buffaloed. 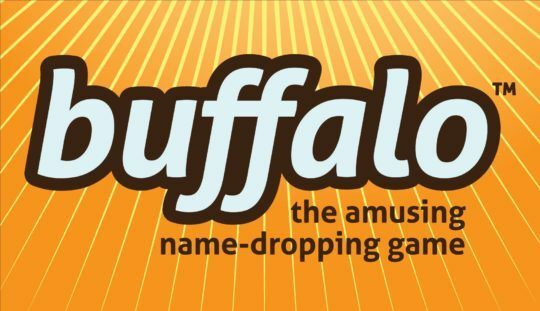 In each round of Buffalo, players race to make matches using cards on the table. Be the first to shout out the name of a real person or fictional character who matches the descriptors on two or more word cards, claim the matched cards, and continue flipping. When the deck runs out, the player with the most cards wins.